Ready or Not – there you go. 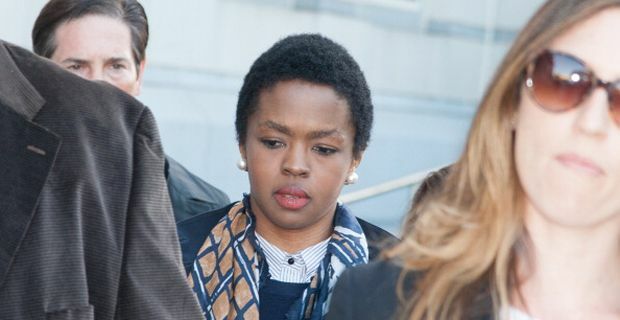 The former Fugees singer Lauryn Hill has begun a three-month prison sentence in Connecticut for tax evasion. The 38 year old vocalist, who brought such intoxicating life to songs such as ‘Killing me Softly and Ready or Not’ was sentenced in May after she was found guilty of failing to pay tax on earnings of $1.8m (£1.2m between 2005-07. Her sentencing also factored in unpaid state and federal taxes in 2008 and 2009, which brought the total owed to roughly $2.3 million. A spokesman for the federal Bureau of Prisons confirmed that the singer had been incarcerated in a minimum security prison. The prison itself is similar to what is known as an ‘open prison’ in the UK. She will be housed in the general population of the Federal Correctional Institution of Danbury, where prisoners live in open dormitory-style halls rather than cells and are expected to work their sentence, doing jobs like landscaping and maintenance. After serving her sentence, she will spend a year on parole, the first three months of which will be spent under house arrest. After pleading guilty last year, Hill's lawyer had fought for a sentence of probation with no jail time. Mitigating arguments included her family circumstances, the fact that she had actually paid the tax she had evaded at a later date and the fact that she had a history of charitable works. Hill apologised for not having paid the taxes, saying that she had fully intended to, but having withdrawn from her musical career to focus on her family, her financial situation had changed radically. Assistant U.S. Attorney Sandra Moser accepted that Hill had huge creative talent and had performed charity work on behalf of impoverished children, but called Hill's explanation for her actions "a parade of excuses centering around her feeling put-upon."